When I was staying in my family temple in Japan in August, I had opportunities to talk to the temple members. Just like here, one of the common topics of the conversation was about weather. Surprisingly most of them know exact temperature of today's weather and they often asked me …......how many degrees is the temperature in Hawaii? This was a very difficult question because I didn’t have a thermometer here and I was not interested in the exact temperature. In fact, my own scale of temperature has only 5 levels based upon how I feel. They are….Very hot, hot, ok, cool, cold. Those are all I needed to express the temperature. Of course, I knew it was about 90 degree in Hawaii during daytime, but I never thought of the Celsius temperature. So whenever I was asked about temperature, I couldn't answer the exact number. 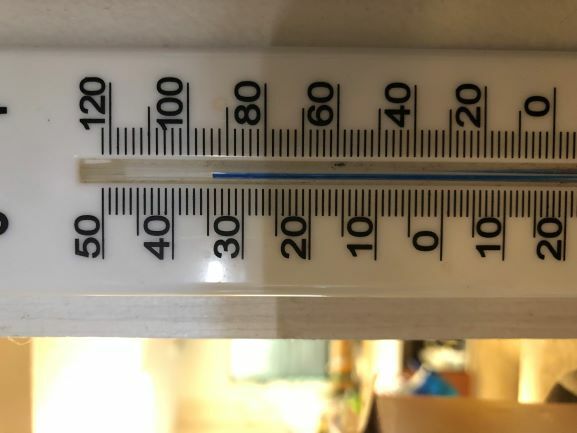 Instead, I explained like this, “It’s hot but we never have an air conditioner.” This is how I bought thermometers and finally I started to look at the temperature here at Koloa. To check thermometer was interesting. I can get both Celsius and Fahrenheit at a glance. Before I had this thermometer, I just felt it was “very hot” inside the house. But now “very hot” has an objective number. I was surprised it was 35 °C or 95 °F. I thought Hawaii was much cooler than Japan in Summer time, but now I knew it was almost as hot as Japan! This thermometer surely made me interested in the temperature both in Celsius and Fahrenheit. My understanding of the fundamental difference between Fahrenheit and Celsius is an object of the temperature. In Fahrenheit, it’s based on the temperature of Europe where Gabriel Fahrenheit spent. They made the coldest temperature as zero and the hottest temperature as 100. On the other hand, Celsius is based on the temperature of water, which I think more "scientific." They made the freezing point of water as zero and the boiling point of water as 100 °C. Interestingly -40 degree in Celsius is exactly -40 degree in Fahrenheit. 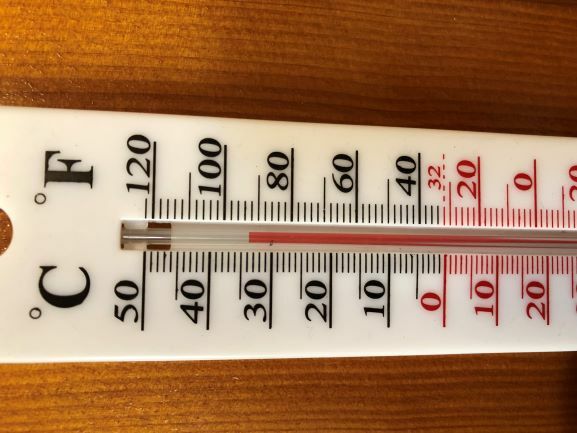 On the other hand, average human body temperature is 37 degree C and 98.6 degree F.
I definitely think Celsius is much easier and convenient but as long as living in the US, I'd better to know Fahrenheit scale, too. Almost all countries except the US, Belize, Bahamas, Liberia, Cayman Islands.